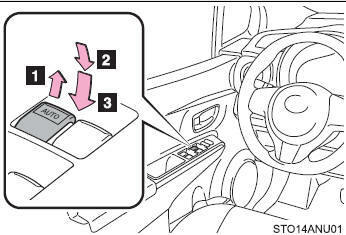 Press the switch down to lock the passenger window switches. 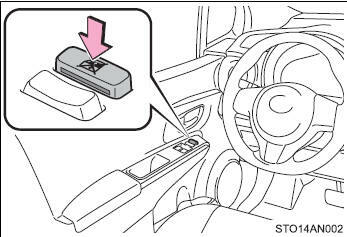 The power windows can be operated for approximately 45 seconds even after the engine switch is turned to the “ACC” or “LOCK” position. They cannot, however, be operated once either front door is opened. ●Check to make sure that all passengers do not have any part of their body in a position where it could be caught when a window is being operated. ●Do not allow children to operate the power windows.